Although it was slow to evolve, Instagram’s ecommerce features have become increasingly accepted by its community. 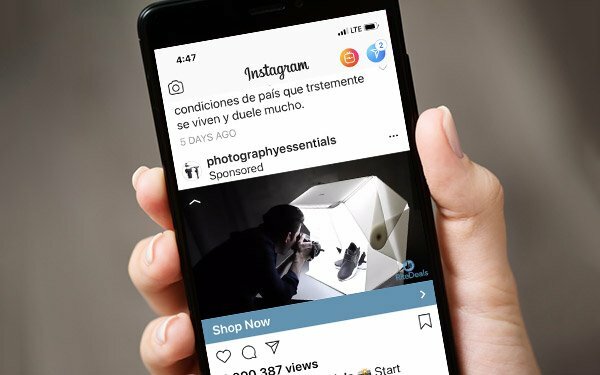 Every month, more than 90 million users now tap to reveal tags in shopping posts, per Instagram’s internal data. Trying to encourage such activity, the Facebook unit continues to add new shopping features to its platform. This week, Instagram is rolling out its Shopping in Stories feature to all users and business partners around the world. In testing since June, the Shopping in Stories feature is really what brands make of it. Among other potential uses, a clothing brand can post a video Story with behind-the-scenes footage of a fashion show, then fill it will shoppable tags. Of course, Stories has proven to be one of Instagram’s most popular services. At present, more than 400 million users check out at least one Story on a daily basis. Boding well for Facebook’s bottom line, Instagram users appear to welcome the presence of brands in their Stories feed. In fact, about one-third of the most-viewed Stories currently come directly from businesses, per internal data. Separately, Instagram is also adding a Shopping channel in Explore that it promises to personalize to users’ individual tastes. Already, topic channels let users browse across their interests and delve deeper in Explore. Now, when users want a more casual shopping experience, they can find a channel dedicated to Shopping posts from the brands they already follow, along with some suggested brands. Marking a major milestone, Instagram recently surpassed 1 billion monthly active users, while Bloomberg Intelligence analyst Jitendra Waral estimated the platform is now worth over $100 billion. Waral estimated that Instagram will pump more than $10 billion in revenue into Facebook’s coffers in the next year. It is expected to surpass 2 billion users within five years.